We require that you send 10 images as low res jpegs and/or a link to your website, as well as a short biography and statement about why you think it will be relevant for you to work with Boris (approx. 200 words total). 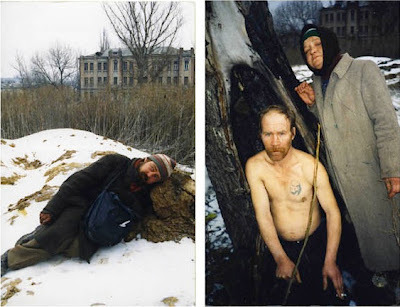 Submissions are to be sent to [email protected] with the following subject header: SUBMISSION FOR 1000 WORDS WORKSHOP WITH BORIS MIKHAILOV. This entry was posted in 1000 Words Photography Magazine Blog, Contemporary Photography, Uncategorized and tagged 1000 Words, Atlas Mountains, Boris Mikhailov, Case History, Citibank, Contemporary Photographers, Contemporary Photography, Fez Morocco, Former Ussr, Gallery London, Hasselblad Award, Intense Experience, Own Art, Photographer, Photographers, Photographs, Photography Prize, Photography., Rare Occasion, Saatchi Gallery, Social Disintegration, Soviet Regime, Stunning Backdrop, Tate Modern, Ukrainian Artist on August 15, 2012 by Tim Clark. This entry was posted in 1000 Words Photography Magazine Blog, Contemporary Photography and tagged 1000 Words, Atlas Mountains, Boris Mikhailov, Case History, Citibank, Contemporary Photographers, Contemporary Photography, Fez Morocco, Former Ussr, Gallery London, Hasselblad Award, Intense Experience, Own Art, Photographer, Photographers, Photographs, Photography Prize, Photography., Rare Occasion, Saatchi Gallery, Social Disintegration, Soviet Regime, Stunning Backdrop, Tate Modern, Ukrainian Artist on August 15, 2012 by Tim Clark. The workshop has managed to attract notable press here on The Daily Telegraph online and here at GUP Magazine, while Roger Ballen has been busy directing his first music video, the oddly engrossing, I Fink U Freeky for Die Antwoord to widespread critical acclaim, receiving more than 1 million viewers on Youtube in less than 24 hours. At the same time, he has been working towards the first major UK exhibition of his photography this spring, at Manchester Art Gallery which will explore three decades of Ballen’s career, and be on show from March 30 until May 13.New, previously-unseen work will also be showcased in the forthcoming issue of 1000 Words – Uncertainty – out 3 March. If you are considering applying but are wondering if this opportunity is really for you, have a read of the testimonial from a previous workshop participant below to get an idea of what you can expect. Whether it be fresh approach to your photography or a desire for new experiences, it’s time to challenge conventional thinking and shake things up. With a strong onus on image-making, photographers who have attended our workshops in the past have done so with great success, and, in the process, produced new bodies of work that have since been featured in magazines such as The British Journal of Photography, released in the form of books with publishers including Max Strom or gained them representation from the prestigious Prospekt agency to name just a few. “The workshop in Fez was a mind shaking experience, and for me that was just what I needed! Antoine’s repeated question to me was, “but what do you want?” What a simple question it may seem but to truly honestly answer this was one of the hardest things. Antoine struggled with me daily to be truthful to the process of shooting and to my work. Trying to do this as a white woman in a muslim foreign country seemed scary at first. But soon enough this fear pushed me to go farther than I had before. To take more risks and be more bold. In the end, I had allowed myself to befriend men and women who were at first just strangers on the street. My once beautiful but safely intimate portraiture became more real for me, evoking not only the fear of letting myself leap in a strange place but in the process of doing so, being able to see so much more in others. This entry was posted in 1000 Words Photography Magazine Blog, Contemporary Photography, Uncategorized and tagged 1000 Words, British Journal Of Photography, Contemporary Photography, Critical Acclaim, Daily Telegraph, Deadline Reminder, Fez Morocco, First Music, Forthcoming Issue, Freeky, Grey Cells, Manchester Art Gallery, Memento Mori, Million Viewers, New Experiences, Photographer, Photographers, Photographs, Photography., Roger Ballen, Three Decades, Uk Exhibition, Weird And Wonderful World, Workshop Participant, Youtube on February 15, 2012 by Tim Clark. 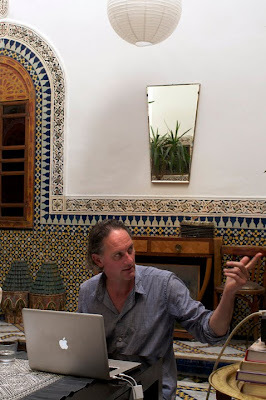 During the month of September 1000 Words held its third workshop in the medina of Fez, Morocco. This time we invited energetic Dutch man, Erik Kessels, curator, publisher and top banana at KesselsKrammer creative agency, to conduct an interesting and unique workshop that surprised and challenged the participants. Erik is one of those special people who injects a lateral perspective into the minds of those willing to take up a conceptual yet free thinking disposition. 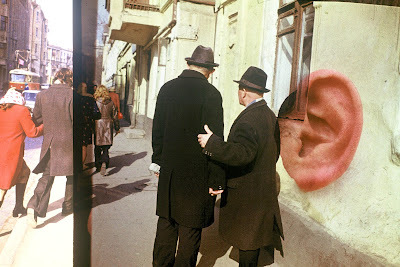 And as a passionate collector of anonymous photographs Erik always found the time to hunt in the medina for those vernacular gems hiding in the most unlikely places and lost on the pages of dusty albums. We, of course, would like to thank Erik Kessels for his teaching skills and powers of motivation and our local assistant, Omar Chennafi, and Stephen DiRenza for allowing us to use his beautiful riad for the week. 1000 Words is organising four more workshops in Fez for 2012 with some of the finest photographers and artists the world has to offer including Roger Ballen (others still to be confirmed), and will be making a call for submissions very soon. This entry was posted in 1000 Words Photography Magazine Blog, Contemporary Photography, Uncategorized and tagged 1000 Words, 1000 Words Photography Magazine, 1000 Words Workshop, Alessandra, Andy Nelson, Caruana, Contemporary Photography, Creative Agency, Dutch Man, Erik Kessels, Fez Morocco, Free Thinking, Hands In The Fire, Hil, Medina, Passionate Collector, Photographer, Photographers, Photographs, Photography., Productive Workshop, Riad, Roger Ballen, South Korea, Tim Clark, Top Banana, Van Der Waal on November 6, 2011 by Tim Clark. Places still available for the Erik Kessels workshop! 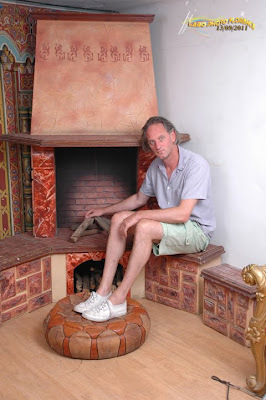 There are still two places available for our workshop with Erik Kessels at riad 9 in Fez, Morocco (12-17 September 2011). Though the camera will be the tool, this workshop will appeal to creatives from all visual disciplines, not just photography. Finally, below is the manifesto from the groundbreaking exhibition From Here On at this year’s Les Rencontres d’Arles which Erik co-curated with Clément Chéroux, Joan Fontcuberta, Martin Parr and Joachim Schmid. The conceptual approach and playful attitude that is outlined will be echoed in the workshop and push those who are open to exploring more lateral ways of image-making. NOW, WE’RE A SPECIES OF EDITORS. WE ALL RECYCLE, CLIP AND CUT, REMIX AND UPLOAD. A PHONE, A LAPTOP, A SCANNER, A POINT OF VIEW. AND WHEN WE’RE NOT EDITING, WE’RE MAKING. THE RIDICULOUS, THE TRIVIAL, THE VERNACULAR AND THE INTIMATE. WE HAVE NEXT-TO-NOTHING CAMERAS THAT RECORD THE LIGHTEST LIGHT, THE DARKEST DARK. THIS TECHNOLOGICAL POTENTIAL HAS CREATIVE CONSEQUENCES. WORK THAT TURNS OLD INTO NEW, ELEVATES THE BANAL. WE WANT TO GIVE THIS WORK A NEW STATUS. This entry was posted in 1000 Words Photography Magazine Blog, Contemporary Photography, Uncategorized and tagged 1000 Words Workshop, 14 August, 24 February, Arles, Arts Photography, California College Of The Arts, College Of The Arts, Conceptual Approach, Contemporary Photography, Curated, Erik Kessels, Fez Morocco, Groundbreaking Exhibition, Joachim Schmid, Joan Fontcuberta, Lecture Hall, Lecture Series, Martin Parr, Photographer, Photographers, Photographs, Photography., Playful Attitude, Riad, Timken, Vernacular on July 18, 2011 by Tim Clark. 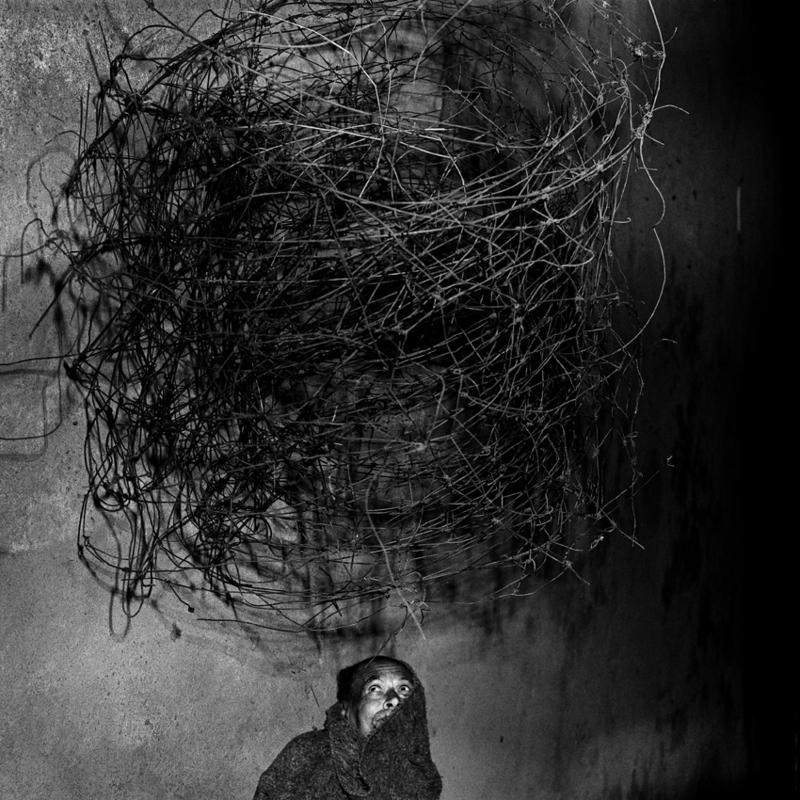 This entry was posted in 1000 Words Photography Magazine Blog, Contemporary Photography and tagged 1000 Words Workshop, 14 August, 24 February, Arles, Arts Photography, California College Of The Arts, College Of The Arts, Conceptual Approach, Contemporary Photography, Curated, Erik Kessels, Fez Morocco, Groundbreaking Exhibition, Joachim Schmid, Joan Fontcuberta, Lecture Hall, Lecture Series, Martin Parr, Photographer, Photographers, Photographs, Photography., Playful Attitude, Riad, Timken, Vernacular on July 18, 2011 by Tim Clark.